For the past 13 years, Jia Wenqi, who has no arms, and Jia Haixia, who is blind, have worked together to plant and water more than 12,000 trees near their village. 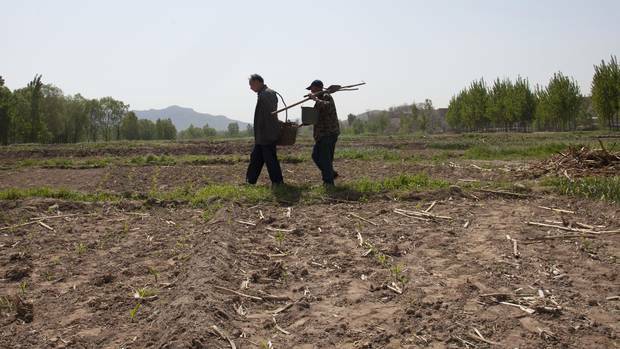 For the past 13 years, the two have planted and watered trees near their village in Hebei province in what originally was supposed to be a commercial venture but became a mission supported by local officials to improve the air in a region more famous for its stifling pollution than for its rolling hills. Wenqi was electrocuted at the age of 3 and both arms were amputated. He performed for many years in a travelling troupe of disabled people in which he demonstrated calligraphy written with his feet. Several old photographs of his travels are pinned on the walls of his dusty room in the basement of a house he shares with his brother and sister-in-law.